The microgrid project in Mannheim-Wallstadt, Germany, a 1,200 inhabitant ecological estate, has been undertaken and developed by MVV, the state utility company since 2006. It was funded and supported by the “More microgrids project” of the European FP 6 and private investors. The main goal of this project successfully accomplished was to develop a true microgrid able to swiftly and smoothly switch from grid-connected mode to island mode. The microgrid was also built to let further microgrid operations and innovations be tested and operated in Mannheim-Wallstadt. At present, five PV systems, a total of 30 kW, and 1 CHP system have also been installed by private investors. 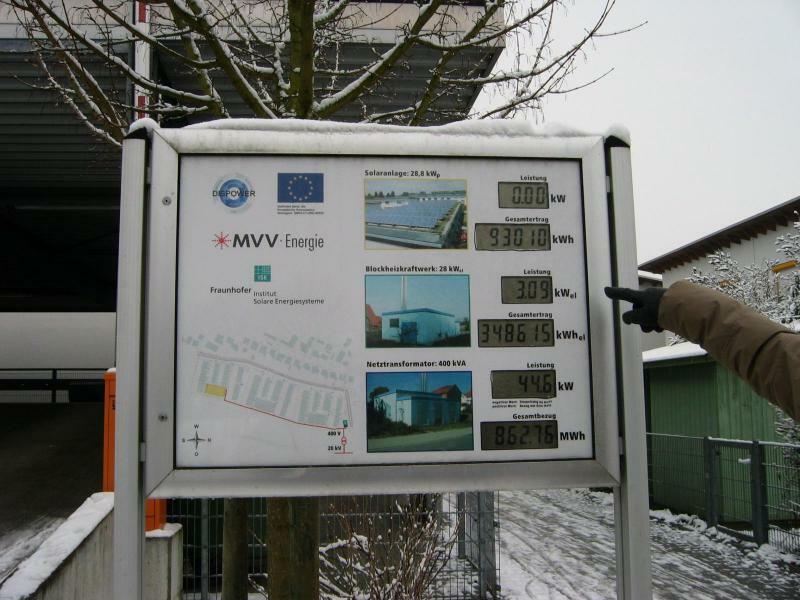 MVV tested the ability of the microgrid to switch into islanding mode at Mannheim-Wallstadt Kindergarten. It was a success: the frequency slightly increased by 2 Hz given the cutback of connected loads when the microgrid is islanding. The system returned quickly to its normal frequency as soon as it was reconnected to the main grid. All of these experiments would never have been possible without the contribution of the Mannheim-Wallstadt community. MVV had them involved in the project by displaying improvements due to the microgrid and regular updates on the microgrid current state. Social acceptance required more investment and energy than expected. It was indispensable to the project’s success and has demonstrated how renewable energy could be adopted by a community and helps improve energy supply.